The anti-fraud body likely to oversee proposed bank account controls set out in the Immigration Bill, the government has named as CIFAS. The controls mean that banks and building societies will be required to check all applications for new current accounts with a specified anti-fraud organisation or data-matching authority. 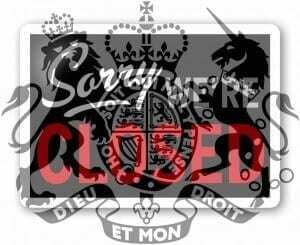 The British Embassy apologise for the inconvenience caused, once they will be closed for staff training on 27 February 2014. On 28 February 2014 it will be open and working normally. From 12 March 2014 there will be a charge of £59 ($USD100) to use the visa application centre in Taiwan. The new charge will be in addition to the visa fee and will be charged at the point of booking the appointment via online.